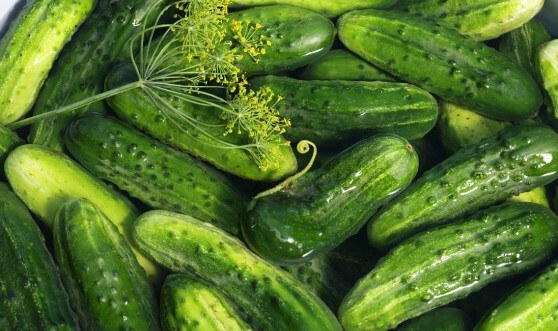 Cucumber "Hermes Skierniewicki F1" (Cucumis sativus) is a field, pickling variety intended for early harvest. 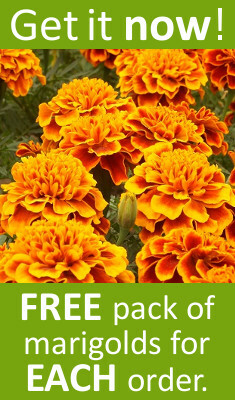 It displays great vigour and high resistance to downy mildew. It develops almost exclusively female blooms. 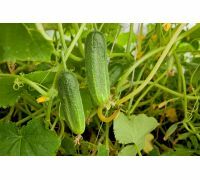 Fruit of the "Hermes Skierniewicki F1" cucumber variety do not overgrow nor deform. 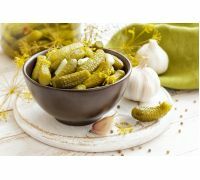 Slightly shiny skin takes on nice green colour and has lighter stripes and thick warts. 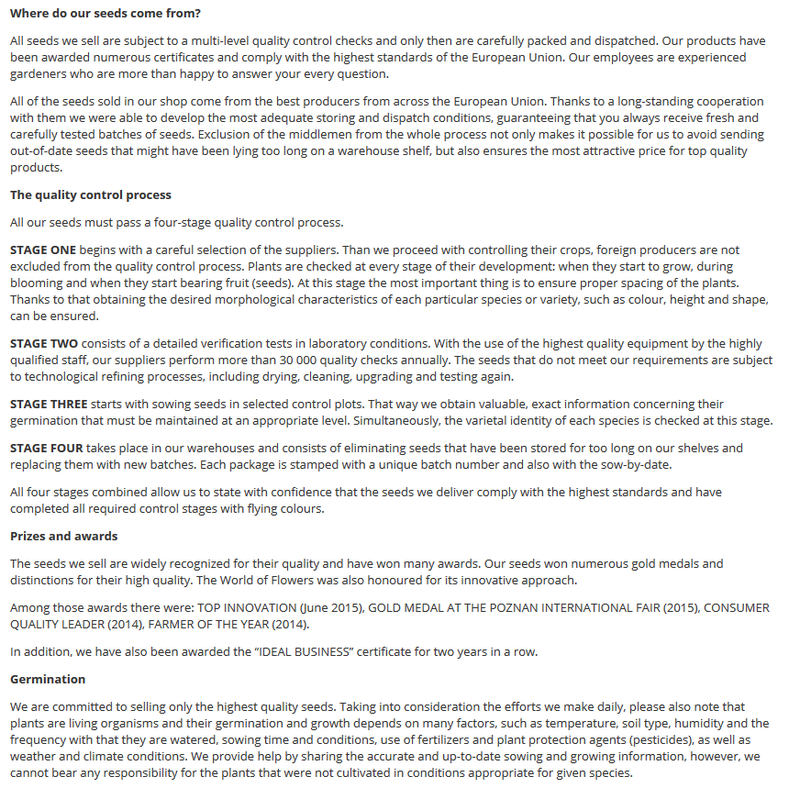 This variety yields crops of high value and excellent structure. 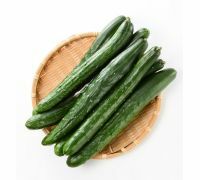 These cucumbers are mostly recommended for marinating, while the larger ones would be perfect for pickling. 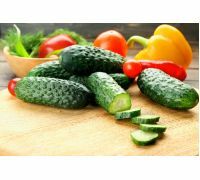 These fruit contain large amounts of vitamins and minerals that they do not lose after processing. 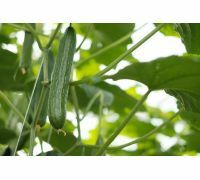 "Hermes Skierniewicki F1" cucumber is grown from direct sow to the field. This is a thermophilic plant, so you may start with the sow in May, when the ground would have warmed up. 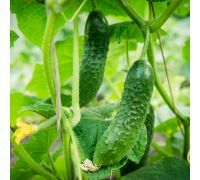 Sow cucumber seeds in rows 80 - 100 cm apart. 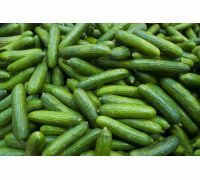 Place 2-3 seeds per hole in 15 cm spacings. If you wish the plants to grow rapidly, cover the plants with aggrotextiles or perforated garden foil. 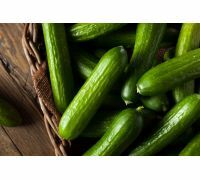 Cucumber requires proper fertilisation to bear rich crops. 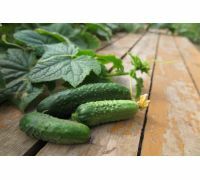 It prefers warm, sunny sites and fertile, moist, yet permeable soils. 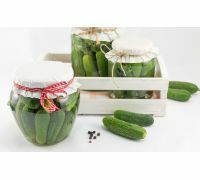 Each package contains 5 g of "Gruntowy Skierniewicki" cucumber seeds. 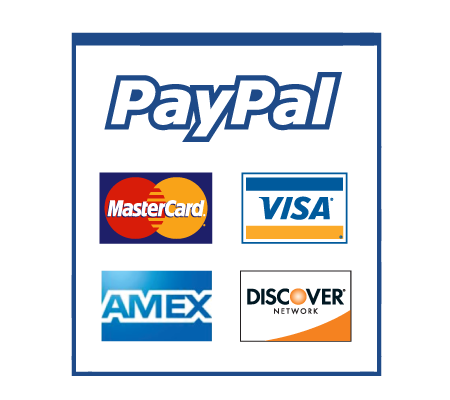 A growing guide and the sow-by date have been included in the package information.